INTELLIGENT COMPUTING Google Google Drive Google Search how to How to Search Google Drive files right from Chrome Address bar? How to Search Google Drive files right from Chrome Address bar? Even if you have Google drive folder locally or on web, Searching files from google drive could be far more easier than what you might thought, Let’s do a small setup to search Google drive files directly from Chrome address bar/omnibox. 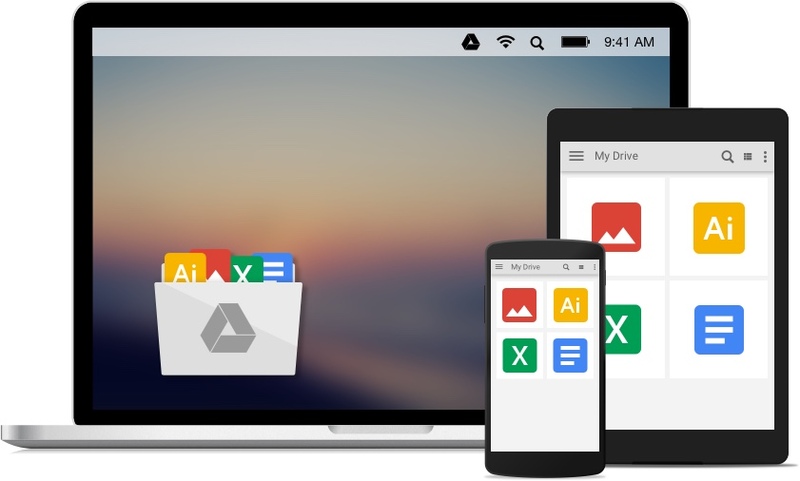 Google drive provides in depth and amazing smart search through your document files and content inside it along with various other file types as well. You can Save so much time and effort to get files from google drive right using Ctrl+f9 and searching google drive with ease from any new tab page or any page. Let’ get to know how you can do this. What’s Requirement and how this would work? 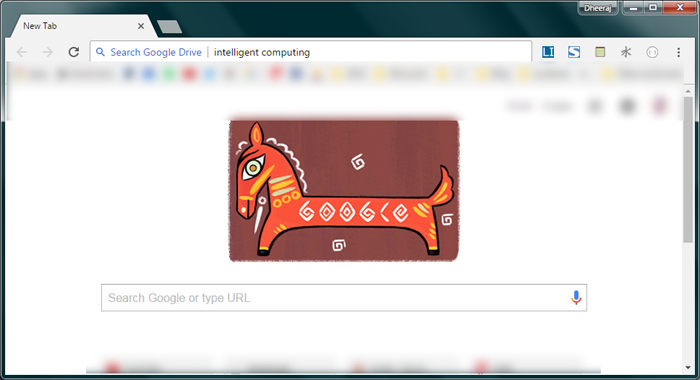 You can use Custom search engine for your Google chrome to make this work on your chrome. All you need to do is to create a new Search engine in Google chrome if not already have Google drive in option and once done, you are ready to go. 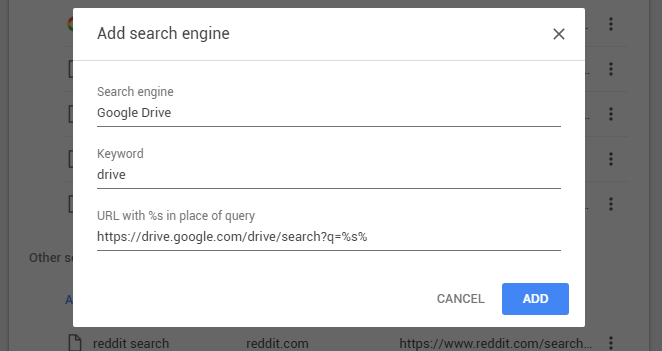 How to create custom search engine for Google drive in chrome? Unlike it seems, its easy process that you can do in few clicks. 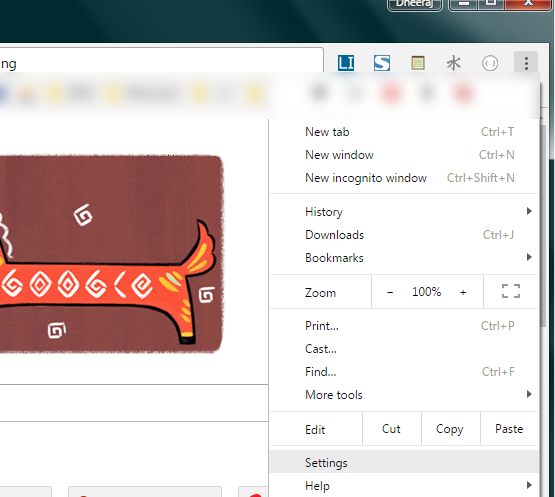 Open Settings Menu from top-right corner of chrome. Select Settings From the available option in dropdown. You will have to find if there is any Search engine named Google drive or not, if not, Click on Add New Search Engine. On the pop-up section you see, Enter the following details to Create Google Drive as your new search engine. Now Save this settings and close settings tab. Your New Search Engine for Google drive is created, Now you can use your chrome’s Address bar or omnibox to search directly into your google drive. How to Search Directly into Google drive using chrome address bar? Type drive and followed by tab, where drive is the word you have provided in keyword section while creating new search engine, change this accordingly. Now type your query or file name, it should directly open result from google drive in front of you. 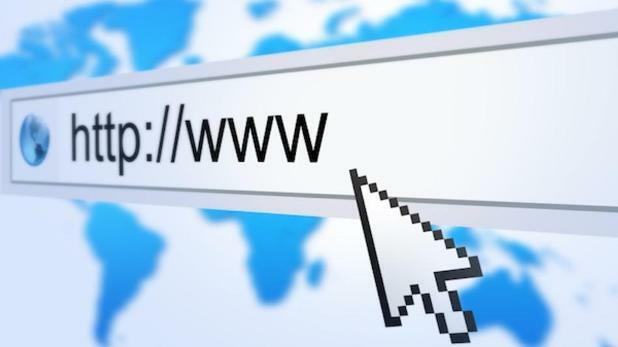 Using same method, you can create search engine for Youtube, Google contacts, calendar or any custom website where you have to carefully examine the url and query and put it accordingly. What else search engine you’d love to create that might save your time while working, Dropbox? Contacts or what, please let us know in comments and share this to let your friend know.